Project Getaway Bali 2014 is over and we can all feel the post-PG depression starting to sneak in. But there is nothing else to say than “Everything else would be weird”. Again this year people are staying in Bali, moving their tickets, canceling their apartments and changing their plans to embrace the true lifestyle and location independent entrepreneur’s way of life! This is what Project Getaway is all about and we love seeing how this event affects people time after time. This year has been no different and new friendships, business partnerships and new ideas have come to life. We pitched to investors, got tuff and honest feedback, we surfed and got killer tans, arranged Ideathons, workgroups and not the least we had a ton of fun while doing it! We also added a new feature to our Luxury app so that we could order hugs for good karma! Who wouldn’t want that??? Kristina entered the entrepreneurial world in 2012 and moved to Bali in 2013. She loves the passion and drive that entrepreneurs have and she doesn’t believe she’ll ever leave this world again. She is the Managing Director of Livit, where she’s responsible for the internal setup as well as the business development. She is currently working on taking the Tech Startup Ecosystem to the next level. Internet marketer and software developer wannabe. Loves to play golf, surf and hang out on the beach with a cold Bintang. Nick has been involved with internet marketing and website development since 2000 and has setup a lot of different websites testing various niches and techniques. He currently manages Livit Spaces, runs his own wordpress video tutorial site and focuses on building MagLoft, an Apple newsstand magazine solution for publishers. I’m that kinda person that always works on improving my life – with my self and with others. And I always strive to be a better person and I always take on new challenges to grow as a person. That’s why when I was asked to co-organize Project Getaway I could only say yes. I will be helping out with all the practical things at Project Getaway and if you have any questions about finances or legal work I can help you. Born and raised in Bogotá, Colombia. Moved to Europe for 12 years (split between Barcelona and Copenhagen) and recently moved to Montreal, Canada. 13 years of international design experience in the fields of graphic design, front-end development, user interface design, animation, video and photography. Freelance Director of Photography for movies, commercial and TV. Professional DP and editor since 2006. Good at visualizing ideas. My experience from movies commercial has provided me a good platform to be creative – to develop a scene a feel and a look from the ground up. And TV has made me good at thinking, moving, and acting fast in environments where there are no such things as a second chance. Co-founder of asmallgame.com, a game studio making and releasing games for web and mobile. Creator of the game series Hanger. The mobile version of the game has been top 5 in the US App Store with millions of players worldwide. As a freelance developer I’ve created games and experiences for a wide range of clients, including Google Data Arts, Goo Technologies and various advertising agencies. I’m also active in the games and tech community in Stockholm and last year i gave a session at SthlmJS, a meetup for web developers, that was called “The most remarkable conference presentation ever seen” by Smashing Magazine (https://twitter.com/smashingmag/status/401782126808268800). This year I’m scheduled to talk at the onGameStart conference in Warsaw. Business Consulting, Networking and Real estate etc. Developing an own management program, GOAL: 4 hour work week for everybody! Born 32 years ago in Tangier, Morocco. Studied and worked in France. Since I can remember I disassemble my toys to see what’s inside … and I also had my computer geek years !! I’ve worked for 5 years as a consultant. I assisted my former clients to implement CRM cloud applications. I raised my company about a year ago. 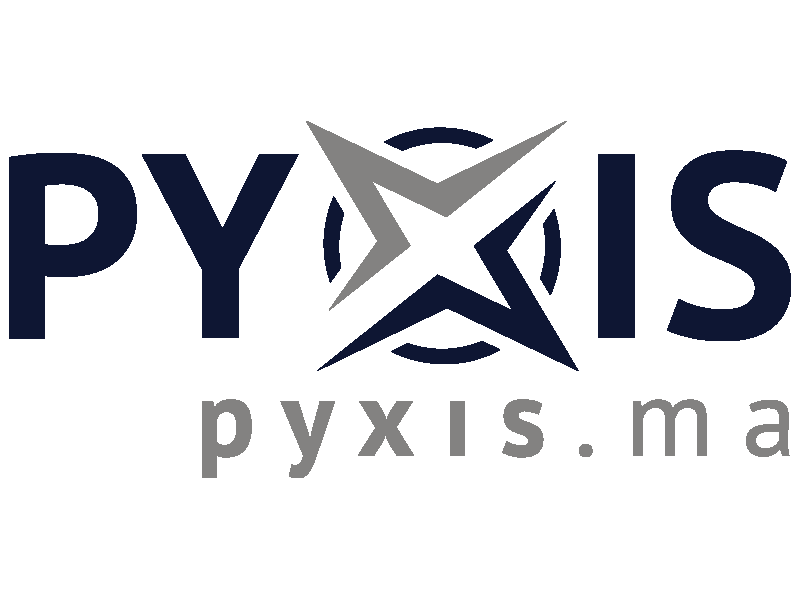 I have developed, and now selling Pyxis.ma, a fully customizable cloud application tailored for small businesses. Pyxis.ma is in a few words, a adaptable, user-friendly, very affordable, management tool. 2008-2014 I launched a financial technology company, Alipes Capital, with two partners. We use cutting edge natural language processing and machine learning technologies to trade automatically on the stock market based on the news flow. We started the business with DKK 150,000 of our own money, raised seed funding of DKK 2,000,000, and our company now has 18 employees and generates pre-tax profit around DKK 20,000,000 per year. My responsibilities have been raising capital, building the financial decision making model that runs our algorithm, and developing new trading strategies. One of my co-founders is running technology, the other is running operations. As the company is quite successful, but at the same time not growing rapidly anymore, in the spring of 2014, I, along with my two co-founders, decided that I would step back from day to day management of the company, and leave that to them. I still have my shares in the company, and continue to be involved on a board level. I started off in Accounting and worked into Operations management over the last 8 years of my career. I was able to turn my strengths into my company and looking for the next level to secure my lifestyle or working as location independent. I am currently running a Virtual Business Manager company that specializes in Accounting, Operations, organization & day to day support for business coaches and marketing companies. I am looking to the next level in my business and developing the idea for a VBM software to assist business owners that work with virtual staff. Born and bred in California, I’ve worked in PR/Communications for eight years for international and domestic firms, servicing clients such as Intuit, PayPal, LegalZoom and Safeway. That time was focused on helping established and emerging growth companies tell their story and problem solve, and create marketing/communication programs that truly impacted business goals. I recently left San Francisco/Silicon Valley and the corporate world to consult and focus on startups, with aspirations to build out a small consultancy. I moved to sunny Santa Barbara, CA where I’ve taken up beach volleyball, yoga and am an aspiring paddle boarder. I’ve been told I’m a proven counselor to c-level executives/influencers and try to use my degree in Sociology and Religious Studies whenever I can. The minor in music comes out only during Karaoke…..bring it, Carrie Underwood. I’m an English entrepreneur, working mostly in web businesses. I currently run WikiJob.co.uk, a social jobs site and WikiFestivals.com, a music festivals website. I also helped start a co-working space for startups in East London in 2010. I’m currently exploring new opportunities for business, either in tech or completely new fields. The projects Gus is currently focusing on are the Secret Diamond Club, a platform for dating and networking which he started five years ago; and Your Video Market, a video market platform. He also works as an ERP consultant on a product called Microsoft Dynamics NAV for several UK based, mid-sized businesses. Gus participated in Project Getaway 2014 and liked it so much that he applied again and convinced us he’s a perfect match for this year’s group too! In his spare time, he plays the drums, makes music on his computer, windsurfs and enjoys deep philosophical talks about meditation, life strategies, politics, science, and anything else intellectual – especially when people have different opinions than his. Gustav is a creative idea-generator, a problem solver and a very empathetic individual. He is highly involved in assisting whiplash patients; he created and currently manages an online community around this topic, and writes articles on how to deal with the symptoms. I am a 24 year old entrepreneur from the Netherlands. I started my business as a designer a few years ago but moved to building “set-and-forget” fully automated online services and software. I really love building and marketing and brainstorming new concepts, services and software. I love coming up with business ideas that are highly automated. Mobility, and the freedom to travel is something I value greatly. Recent passions are tea and yoga. The first half of the month I’ll be working on launching the new redesign of AccountingCoach.com. AccountingCoach is an online accounting course for students, bookkeepers, and small businesses. Second half of the month I’ll be working on TopAlternatives.com and planning our initial link building campaign. TopAlternatives is a resource for small business owners to find apps/software for their business. Eco- Entrepreneur with a Startup called Eco- Afrique in Morocco – Objective was to encourage the lower levels of society to collect used beverage cans and to sell them at collection centers in major cities at a fair price (70% of value). The problem is that collection rates remain below 10% due to low compensation and a lack of structuring ( 20%of value currently paid to collectors). The business did not grow due to lack of funding even if it had proven its value and potential. Aviplaza.com – Private Aviation marketplace where you can request flights (VIP, Cargo or Medevac) and have all charter operators interested and capable of meeting your demand give you an offer. You can chose which operator you decide to contact. Aviplaza does not take a commission and thus saves you 7-10% on your private flight. The private aviation marketplace lacks structuring and its own open marketplace where all aviation professionals can join and be a part of the action. Aviplaza gives everyone in the sector the ability to see the real time demand for flights and to reach out to potential business. Swakeboards – Motorized surf/wakeboards to give you absolute freedom on water. Swakeboards is the result of a dream to mix two great passions in my life (racing/Speed and watersports). The modern watersports that involve riding a board (wakeboarding, Surfing, Kiteboarding, Windsurfing) are all dependant on something. With a Swakeboard you are free to play hard be it freestyle jumping or cruising. Just go! Metalimpex Maroc – Curent Job – Addistant Director or a recuperation plant in Tangier Morocco. We collect metalic scrap from a car manufaturing plant in Tangier, compact the scrap metal an export to Spain. Lets call it a temporary thing! Didialy – Ill tell you about it if you ask me! 10 years in advertising as an art director and graphic designer. Today I have my own advertising / design agency. I recently finished Hyper Island in Stockholm as a digital add on to my expertise. My company is mostly based in Copenhagen, but as long as I have my laptop I can work anywhere. Starting flipping houses right out of college. I worked in real estate as a broker, investor and developer for a couple years, before selling most of my things to travel. I’m currently working as a marketing consultant helping entrepreneurs and companies generate and convert more leads through their websites and online marketing. I spent some time researching and validating a SaaS product, but decided against the industry. In the future, I would like to develop a SaaS product. I’m always interested in new ideas, industries and approaches. I hope to learn more about business and life from all of you. I recently graduated as a Kaospilot (three-year education in Enterprising Leadership: http://www.kaospilot.dk/studentprogram-aarhus) and am currently searching for my passion and purpose. Three of my biggest interests: Movement, travel and social equality. I am a programmer making and selling mobile apps. Primarily iPhone, currently moving to Android but also looking for new opportunities in other fields. While not a full-time digital nomad, I did quite a lot of working & traveling the past 1-2 years and met many like-minded people on the road. I worked on a project to build a price comparison website for groceries in Malaysia during an internship a few years ago. Recently I also worked on an idea to build an events recommendation service as part of a technology entrepreneurship course in London. My other experiences are primarily from work, which involves building global trading applications for equities markets. Now I’m here to explore how entrepreneurs work, the process of forming an idea and executing it, learn about the challenges that would be encountered and past experiences in overcoming them.